The Pakistan Cricket Board (PCB) has received the winner's prize money of 230 million rupees from the International Cricket Council. The Sarfraz Ahmed-led side lifted 2017 Champions Trophy after beating arch rivals India in the final at the Oval. The Pakistan Cricket Board (PCB) has received the winner’s prize money of 230 million rupees from the International Cricket Council. 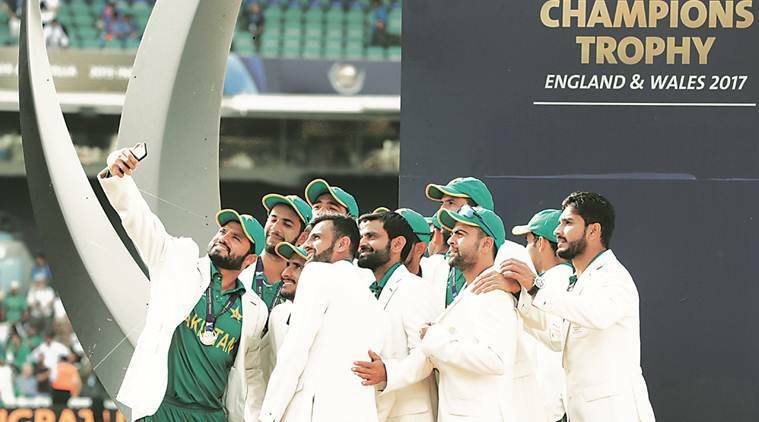 The Sarfraz Ahmed-led side lifted 2017 Champions Trophy after beating arch rivals India in the final at the Oval. According to some details, the PCB has already said that the prize money will get divided into 16 shares for the players and the management. Each player will be getting around 13.5 million rupees while the management, which includes all the coaches, will get around 10,00,000 rupees each. Earlier, the Pakistan team members received a grand welcome from the fans after they returned with the trophy. Thousands gathered in streets to welcome and celebrate with the champions and catch a glimpse of the trophy that came home for the first time for the Champions. This was the first time in history of the game when Pakistan won the Champions Trophy title. To make it even more special, they defeated their arch-rivals India by 180 runs to claim the trophy. Each player was rewarded 10 million rupees each and 5 and 2.5 million each to the management and coaches while chief selector Inzamam-ul-Haq also got 10 million rupees in a reception given by Prime Minister Nawaz Sharif. After riding on an emphatic hundred from Fakhar Zaman, Pakistan scored a mammoth 338 runs in 50 overs while bundled out the Indian team for a total of 158 runs to win the match by 180 runs and etch their name in the record books.